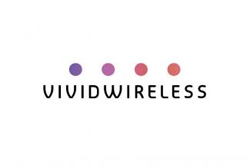 To date, Vivid Wireless has only been available in Perth, Sydney and Melbourne; only in some parts and certainly not metro wide with their pocket wifi devices. CEO Martin Mercer announced today that services are to be launched in Adelaide, Brisbane and Canberra “very shortly”. He also remarked that the recent floods have added to delays in launching their portable wifi device in these cities of Australia. Vivid Wireless operates a wireless 4G network that is quite fast but is unfortuantly not available Australia wide so while this will go a long way to offering current customers better coverage when travelling interstate, it will only remain available to a small section of the Australian public. Still, it’s great news to see them offering their portable wifi in other cities. Rumour has it that they may deploy their TD-LTE systems but the company has no public timetable for that as of yet and they remain tightly lipped. This would go a long way to improving coverage in metro areas. Previous post: Wireless Broadband – Should You Choose A USB Modem Or A Pocket WiFi ?